George L. Piro, the FBI agent who befriended and interrogated Saddam Hussein after his capture, has been named head of the Miami FBI Division. Piro last worked as the deputy assistant director of the Weapons of Mass Destruction Directorate at FBI headquarters. He joined the FBI in 1999 and was assigned to the FBI’s Phoenix Field Office to work international terrorism cases. In March 2003, he was promoted to the Counterterrorism Division at FBI headquarters and was subsequently selected as the team leader and interrogator for the FBI team responsible for the interrogation of Saddam Hussein and other key figures within the former Iraqi regime, the FBI said in a press release. In March 2006, he was promoted as the supervisor of the Washington Field Office’s Joint Terrorism Task Force. He also served as the assistant special agent in charge of the International Terrorism Branch for the Washington Field Office. 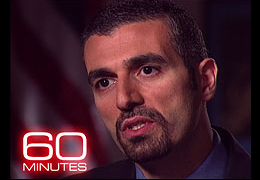 From 2011 to 2013, Piro served as director of the High-Value Detainee Interrogation Group (HIG), an interagency unit overseen by the Counterterrorism Security Group within the White House that involves the intelligence community, the FBI press release said. Born and raised in Beirut, Lebanon, he is fluent in Arabic and Assyrian speaker. He served as a police officer in California for nearly 10 years before joining the FBI. Posted: 3/4/14 at 3:15 PM under News Story.